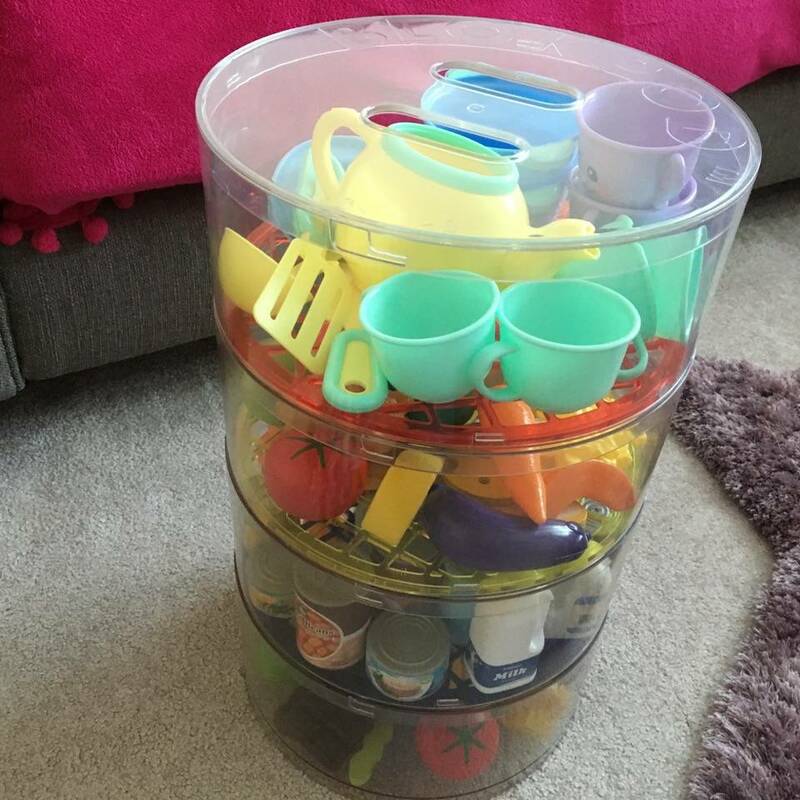 A few weeks ago we reviewed the BlokPod 2in1 toy storage unit. 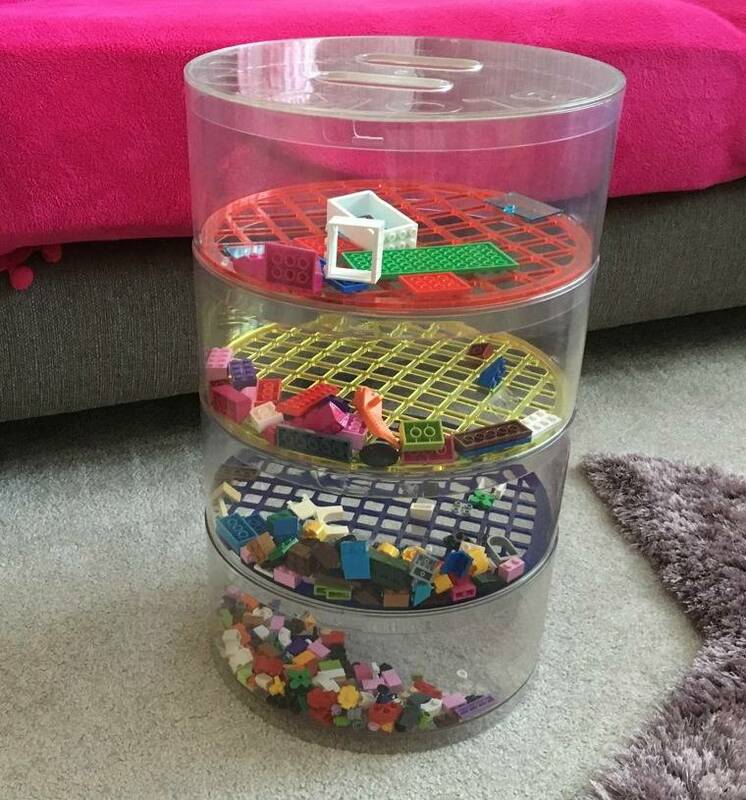 The BlokPod can be used to sort bricks with it’s removable trays or be used as a toy box for all your toys. It has four layers and the holes on the grids inside are different sizes, therefore sorting your bricks. You give it a quick shake and they pop through the holes if they are the right size. Sending all the small bits to the bottom, safely away from little hands. We have been using our BlokPod for a few weeks now and I still love it. I use it to store all the girls tea set and food for their kitchen. I can fit it all in easily and they know where to find it all when they want to play with it. Perfect! It came in handy last weekend when Andy and I were going away, Alice and Holly went to stay with their grandparents. I was able to simply pick it up, pop it in the car and take it with them. Then while they were there, they could play with the toys and pop them back in the BlokPod ready to come back home. BlokPod have been in touch and are very kindly giving two of you the chance to win a BlokPod each. Yes, there will be two lucky winners! If you would like to be in with a chance to win a BlokPod, just complete one or more entries on the Rafflecopter below and please read my giveaway disclaimer first before entering. Good luck!